This topic has been boiling over in my mind since quite a few days now, not because I am inching closer to changing my relationship status but because this concept seems much more worthy and substantive now that I have grown up. Back in teenage, when major share of time was spent watching good old bollywood movies, cribbing about oldies romancing and humming aloud cheesy romantic songs, I always wondered how a man could bend on his knees so as to propose his love, giving up his chauvinism, the feeling he is worthier. No, not me, it was the society in which was I brought up which is to be blamed for my frame of mind for I seldom saw men giving up to a woman. On my way to maturity in terms of age and everything else, I have felt the wind of change. 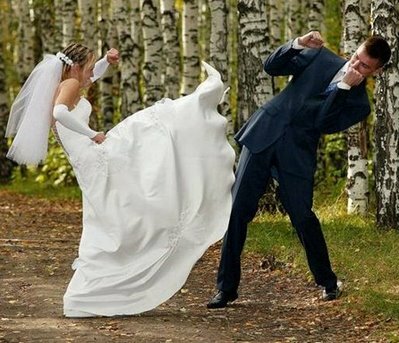 The Anglo-Western concept of bending on knees in order to pop the age-old-yet-romantic question ‘Will you marry me’ is no longer an ego issue with the masculine breed. I feel a modern city girl, once at least, daydreams of being proposed that way—the man in her life bent on his knees, with a ring (the metal doesn’t matter; or it does? O_o) in his hand, putting in all the efforts possible so as to hear a YES. There is another perspective from where things might not look that rosy and admirable. It’s when the person in front is not desirable; who is a chump whom the girl has been looking for ways to not encounter ever. If such an unwanted person proposes someone, denying the proposal becomes more so an awkward and embarrassing thing to do, for proposals in public inadvertently attract eyeballs and many awwwws from the people around. Being prompt and opting an affordably sensible way seldom comes handy. Firstly, saying ‘no’ might as well make things worse besides making a public show. The fact that the person who is proposing should better be prepared to hear a negative response never finds its way to reality. Combating conventional prejudice that if a man has accepted superiority of a woman and her decisions, she will have to say ‘yes’ no matter what stops her from doing that is quite a tough job. I hope the modern generation learns to listen a ‘no’ whenever they bend on their knees to pop the question. Aping West, if is done in a manner that advances us, should never be a loathsome subject. After all, chucking user manual to try hands at something afresh might not always prove you a geek. Showing true sportsmanship possibly could! Nice Cheena! well written but why only man y not women can bend their knee? As far as bending on their knees is concerned, yes, there's no ado about this. 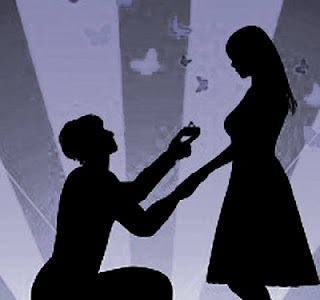 The writing was one of the million perspectives related to marriage proposals. Well,we don't live in 16th century when women were not allowed outside the house and keep face covered with long ghoonghat.Todays.lady is equally sharing in all walks of life.So why shd there be any question of ego/chauvinism on either side?Life's train runs on compromise since ancient days,so purpose should be solved.Who proposes doesn't matter. Absolutely! It should not matter who proposes. The focus was facing proposals by an unknown/unwanted person.